Because of universal education, the First World War was a “literate” war. For the first time in history virtually all the soldiers who took part were able to read and write. And many of them, perhaps feeling sentimental, perhaps being shaken and appalled by what they had experienced, wrote poetry. Newspapers -happily printed these poems in their pages. Strangely, there was little attempt at censorship during the First World War, the monitoring of mail from the trenches invariably being left to the officers in charge of the various units. 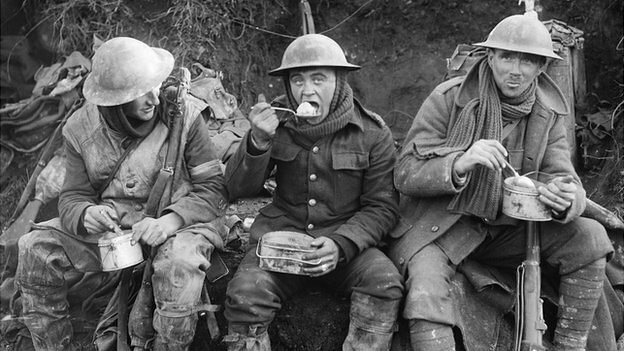 Thanks to things like the Pals Battalions 1 many officers and other ranks came from the same towns, even the same villages, and soldiers often wrote home with stories of dreadful conditions and terrible battles. And the Germans they will rue it. He isn’t only one of them but all the blessed three. Or cow’s milk in our tea.